AUSTRALIAN Marc Leishman will have to hold off some formidable opponents if he is to win the Dell Technologies Championship in Boston. 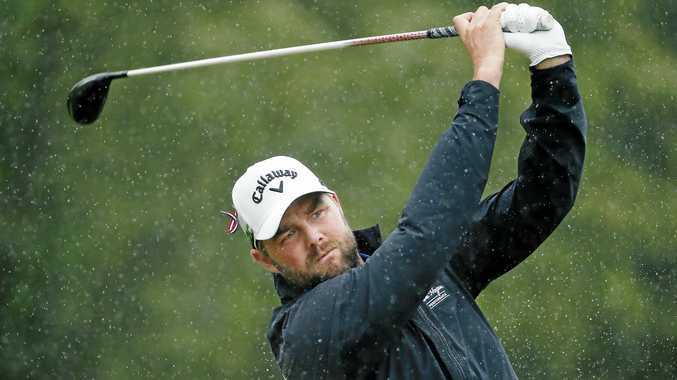 Leishman's round of 65 on a wet day at the TPC Boston course put him on top of the leaderboard alongside US PGA champion Justin Thomas who fired a 63. The 24-year-old world number seven recorded 12 threes, a record for a round in the FedEx Cup playoffs. The pair is on 12-under going into the final round one ahead of Englishman Paul Casey, and a further shot clear of world No.2 Jordan Spieth. A win for Leishman right in the hunt for the FedEx Cup and its $US10 million bonus that goes to the winner of the season-long points race after the fourth and final playoffs event, the 30-man Tour Championship. Fellow Australian Jason Day improved only slightly with a 70 to be tied 44th at one over.